Family Service Association | "Lisa LaForge"
Lisa Ann LaForge used to say that she started here as an intern in 1981 and “never looked back”. She dedicated her talents, passion, heart and soul to the people served by Family Service Association of the Greater Elgin Area. For over half of her life, Lisa advocated fiercely for those who are often not heard. She worked tirelessly to help systems be responsive and accountable to fundamental needs of the community. 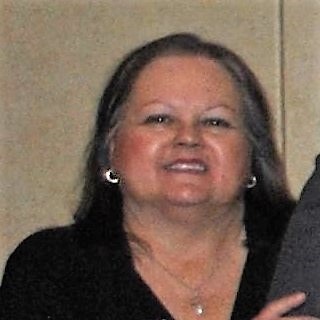 One of Lisa’s crowning achievements was the instrumental role she played in starting the Screening, Assessment, and Support Services (SASS) program in the State of Illinois. Lisa was the leader that brought SASS to FSA which officially began in 2004. She worked together with Illinois officials for many years before 2004 to bring together a crisis system that was and still is responsive to youth experiencing significant mental health distress. A second compelling achievement of Lisa’s was her substantial role in the Mental Health Juvenile Justice program. Mental Health Juvenile Justice came out of the Juvenile Justice Initiative of Illinois in January of 2000. Lisa worked together with our local courts, juvenile detention center, and probation departments to create a work flow that allowed for youth to get community based services prior to their release from the detention center. Research showed and continues to show that if people have support they are much more likely to find success in their communities. Lisa was a pioneer. In 2014, Lisa was the Elgin Image Award for her outstanding work in advocacy while also running a highly reputable, financially solvent organization that responds to community needs. At FSA she also served in the roles of: Associate Director (2000-2001), Director of Clinical Services (1994-2000), Director of Youth and Family Services (1985-1994), and Therapist (1982-1985). Lisa was a friend and mentor to many. She was a dedicated daughter, sister, and aunt. She was a proud cat mom. She was our leader. She is missed, but she is with us.